It was just a matter of time. While talking to a potential client last week, I was asked to recruit and hire a “Certified” DevOps Engineer. Warning bells went off in my head as I asked follow questions trying to find out how and why this became a “must have” requirement for potential candidates. Training is good. Earning a certification is a gratifying after investing time and money in a new skill. Here are two problems I have with DevOps Certs (yes just two). DevOps is not a skill. As most of you know, DevOps is “way of doing” things, not the thing. Most of the certifications on the market are tools based and an income stream for vendors. HR and in-house recruiting teams use certifications as a crutch. Unless you work for a VAR and therefore might need to certified as a requirement to sell and service and bid on projects( a al AWS Partner) , I would be suspicious of anyone who is certified in DevOps. Let’s take a look at the certifications that are available in a very particular order. AWS Certified DevOps Engineer – Professional AWS Certified DevOps Engineer – Professional validates experience designing distributed applications and systems on the AWS platform. Red Hat Certified Architect: DevOps A Red Hat® Certified Architect (RHCA) with a DevOps concentration is a Red Hat Certified Engineer (RHCE) or Red Hat Certified Developer who has attained Red Hat’s highest level of certification, proving their skills and knowledge in technologies and practices that can accelerate the process of moving applications and updates from development through the build and test processes and on to production. 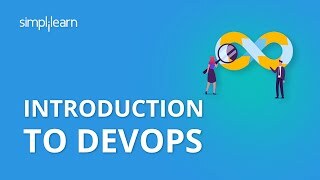 DevOps Certification | DevOps Training Course – Practitioner | Simplilearn Improve workflow for faster development and deployment with this industry leading DevOps Practitioner certification training course. DevOps League There are plenty of DevOps certifications out there of varying quality. Ours is the best. It is wonderful and I love it. You’ll love it, too. You’ll love it so much that you’ll print out your certification and even put it on your résumé. You’ll tell all your friends about it and even ask your loved ones to mention it at your funeral. RIP, by the way. Keep in mind, I’m not slamming certifications. As a recruiter I talk to so many people who are trying to get into “DevOps” and I hate to see them spend thousands of dollars on a cert and still be in the same boat. Any certification without the work experience to back it up will not get you hired by a reputable company. What are your thoughts on DevOps certifications? Comment if you have a good or bad experience with any of the courses. For the Last 15 years, Larry has been focused on creating best practices in the Tech Sourcing, Recruiting, and Recruitment Marketing field. For the last few years he has been recruiting for companies like Accenture, USAA, Zappos, Rackspace, and ThoughtWorks.